8" wide x 19 1/2" long. 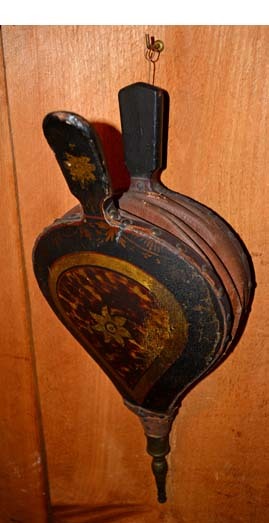 Here is a set of Antique Bellows that would look great next to any fireplace or wood stove. 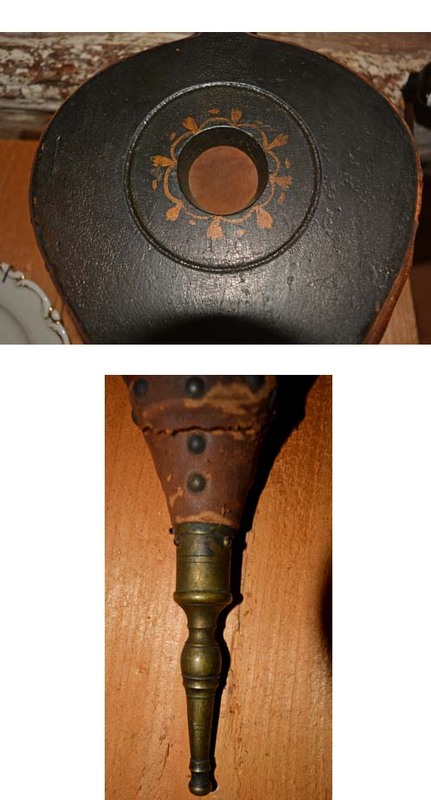 These Bellows date from the early 19th century and still work well. They are trimmed with original leather and brass, and the mottled brown and mustard color makes it possible to date this item. With the renewed interest in wood burning fireplaces and pellet stoves, these could be a handy accessory.